When you walk into the completed Pho Ba Luu restaurant later this year, you’ll notice a fresh combination of old and new architecture. 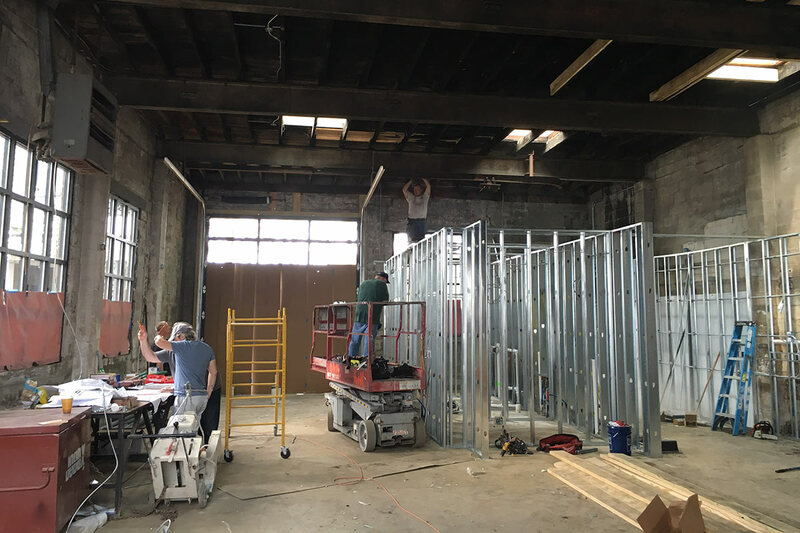 The Vietnamese restaurant, the vision of Stewart Davis and his fiancée Jessica, will occupy a prominent East Main Street site inside a former mechanic’s shop that’s under renovation as part of developer Andy Blieden’s larger Butcher Block project. Still, Davis knows that good design can enhance the customer experience, including how much visitors enjoy their meals. “We wanted to bring a cool atmosphere, to target a broad range of crowds,” he said, noting that it’s hard to find great design in such a restaurant unless you’re on the coasts. 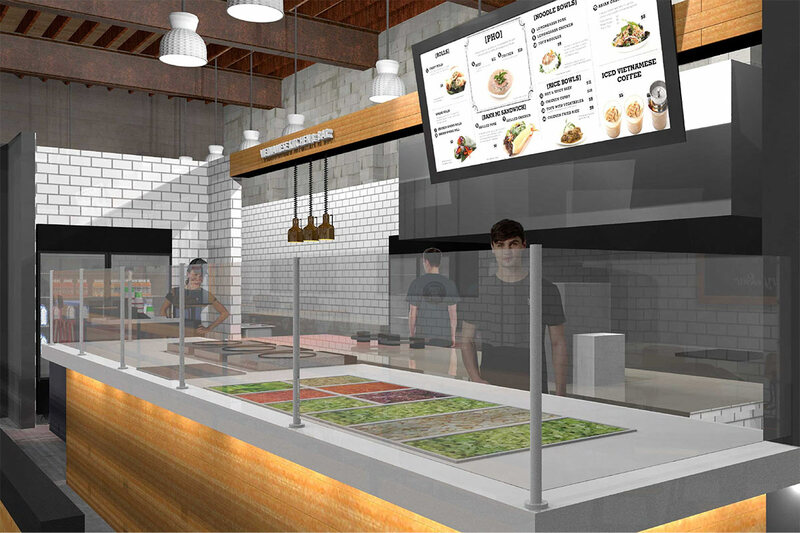 “One of the things we wanted to do with the design was really show that Vietnamese food if fresh—it’s healthy,” Davis said. 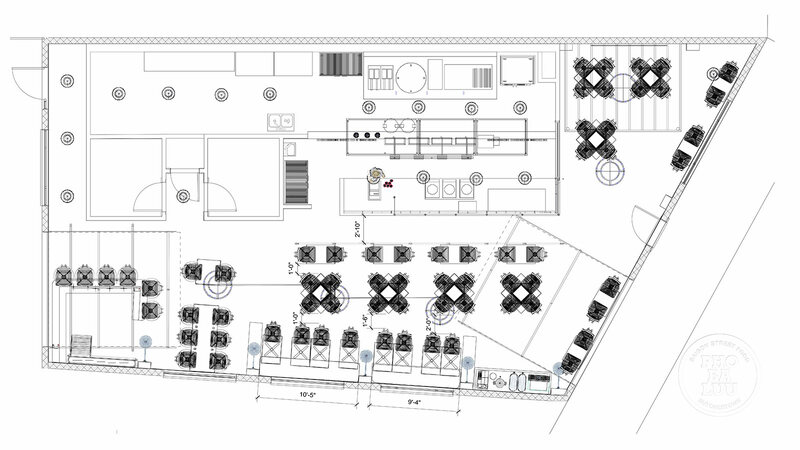 Walking into the space from Main Street, you’re greeted by the service line flanked by seating areas with space for 74 diners. Patrons will place his or her order after walking past fresh vegetables and cooking Pho, the traditional Vietnamese soup. “You don’t order by building your meal,” Davis said, “because it’s a specific menu that took hundreds of years to make.” Rather a menu of food options outlines what’s available. Once an order is placed, customers grab a number and the food is brought out to their table. The seating arrangement is designed to be flexible. Banquet seating is placed on one side while another seating area includes a lower ceiling to make it feel distinct from the larger room. “On the audio side, we zoned that a specific zone, so if someone is there having a meeting, we can turn down the volume just there,” Davis said. 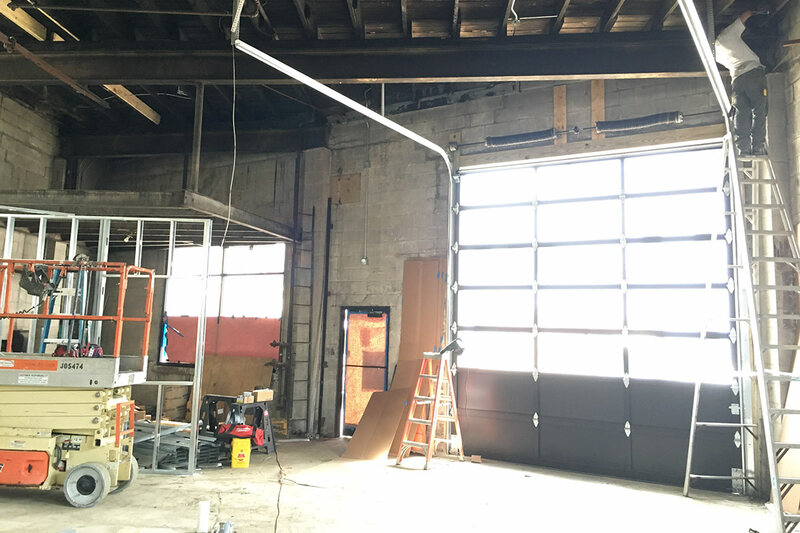 Two large garage doors—one in the front facing Main Street and another in the back facing a courtyard—can be opened in warm weather to connect the space with the outdoors. Seating, whether tables or high-top seats, can blend with the activity of Main Street when the doors are open. A bar is at the back of the space next to the other garage door. 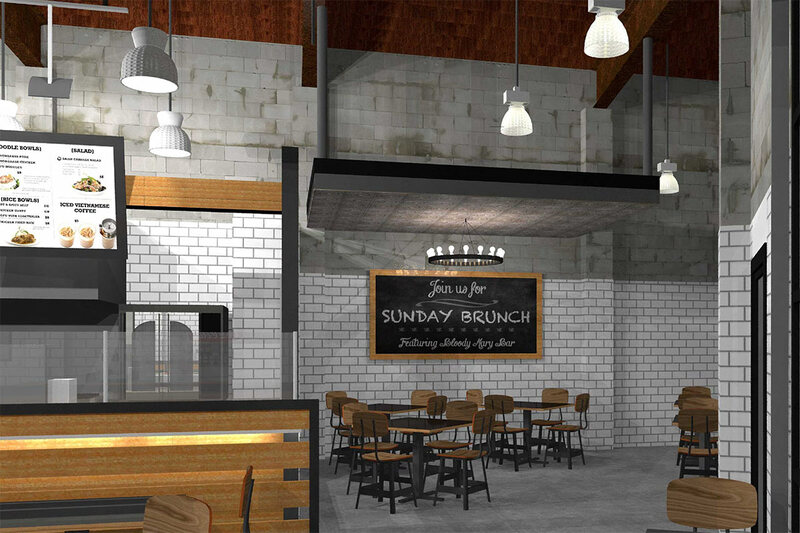 Davis is working with Chris Burgin to design the restaurant in house at Louisville-based Axxis, Inc.
“I looked for about a year and a half for a spot,” Davis said. “Restaurants are hard enough, but dealing with real estate on the front end was almost impossible.” After a friend recommended Blieden, a match was made. “There’s no way we’d be doing this, period, if it wasn’t for Andy’s involvement in it,” Davis said. 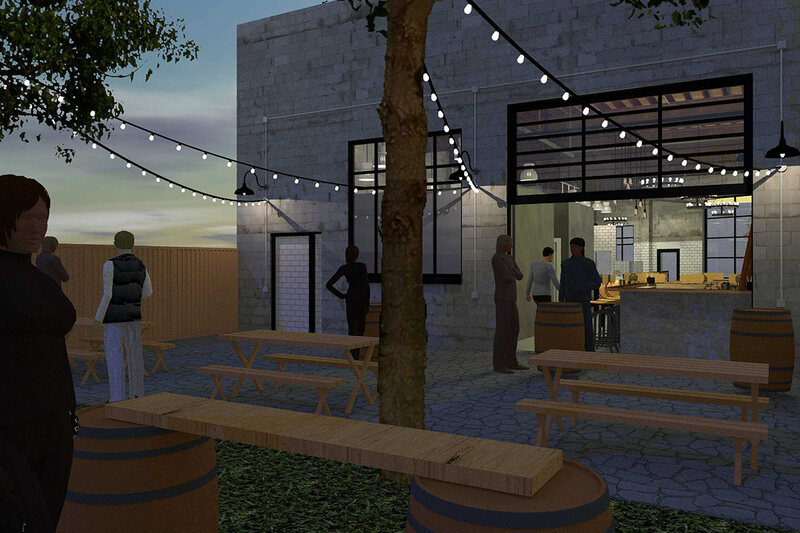 “Compared to the Blind Pig, this is a blank slate,” Blieden said. Blieden is continuing the vision of Bruce McCann who assembled the properties and planned to renovate them himself in 2015. Read more about the full Butcher Block project here. Please add veggie spring rolls, pho, and banh mi and I will eat there every day! Vegitarian Spring Rolls will be made to order. Vegitarian Pho will always be available and Banh Mi will also have a Vegitarian option. Look forward to your visit. JESSICA.